As we all know parking in Madison leaves something to be desired. 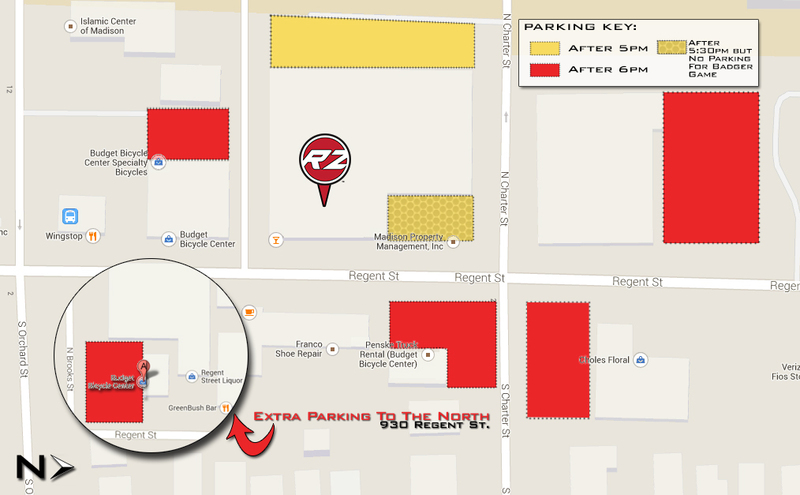 We got you covered with 5-6 FREE parking lots. That’s right we have free parking. Spaces are limited so don’t wait until the last minute before your show or the game. These lots are all within direct walking distance of The Red Zone Madison. All lots are either right on Regent St or just off the road around the corner. Take a look at the key for a better idea of what lot to use at what time.